A notification will pop up (yellow highlight) on the management form to inform you that you are not starting a new project but editing a project request. 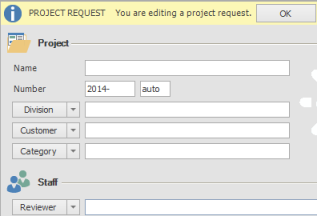 Click OK to edit the new project request. Enter the basic project information. Therefore read the chapter How to create a new project. 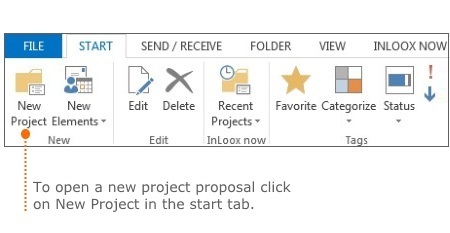 Click on the Reviewer button in the staff area to select somebody to release your project request. Select the responsible person by double-clicking on the entry in the address book. 4. Click on Safe and Close when you are finished. The reviewer you selected will receive your project request submission for approval and the project request will be included in the tree structure of the InLoox project list. 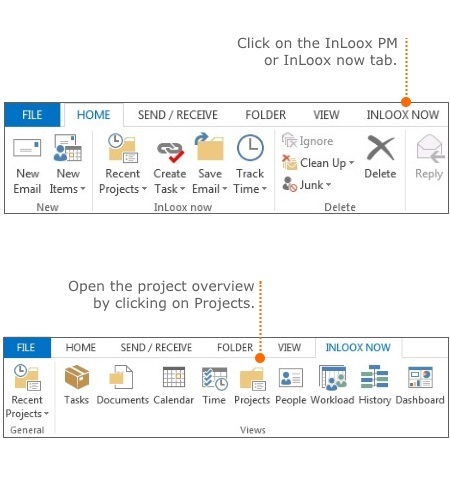 How to submit a project request • Copyright 1999-2019 © InLoox, Inc. All rights reserved.